"I'll have to put more earrings on. I bet that someone could analyze me and tell my condition by my earrings." I am a student of the Edie Sedgwick school of accessories - or, more appropriately, excessories. Maybe it's the Texan in me, but when it comes to jewelry, the bigger the better and the more the better. One of my style trademarks is my penchant for wearing large chandelier earrings, but to be honest my my love for big ole earrings doesn't even come close to the shoulder-dusters that Edie rocked. It is because of Edie that big dangly earrings because trendy in the Sixties and have stayed a style mainstay for half a century. The loud, large earrings are the perfect juxtaposition against Edie's otherwise minimalist style - imagine back in the day when you could see the real live whiplash girl-child bobbing down the streets of New York City in a black leotard, opaque black tights and swinging silver pieces hanging off her ears, shown off to perfection due to her cropped peroxide hair. Due to the grace of the retro fashion gods, owning earrings like Edie's infamous shoulder-dusters is possible. Glittery chandelier earrings are everywhere - from Neimans to Forever 21, you can find a pair to channel that Sedgwick style. 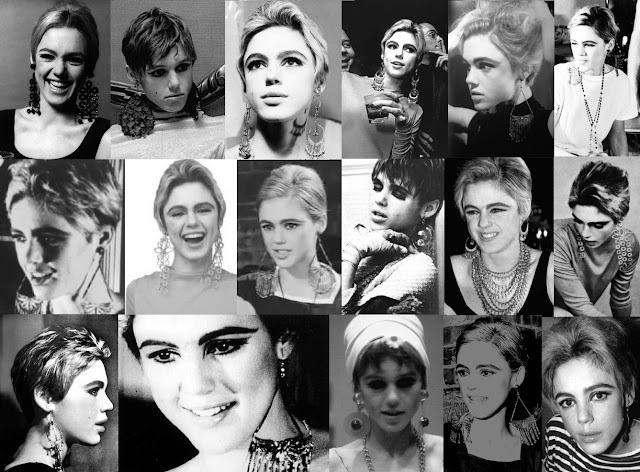 I own several pairs of earrings designed by Steve Sasco, the jewelry designer for the Edie biopic Factory Girl. He recreated many of the styles that Edie wore for Sienna Miller to rock in the film, offering on his site an entire Factory Girl Collection. I own the 'Famous Butterfly Earring' in silver, as well as the 'Life Magazine Earring' with jet finish. 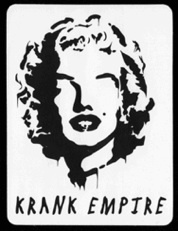 I definitely recommend that you check out this collection - I have been a fan of it for years. It's been my little secret for dressing a little more like Edie. Ahhh I am SUCH a huge fan of Edie. I've never seen some of those pictures before! She was so wonderful. Thanks for the big earring suggestions, I love them too! Super jealous that your own repros of her earrings, I've got to get my own. Oh and I caught your Venus In Furs lyrics reference too :) very nice! That sentence, imagining real-life Edie, gave me chills. Thanks again for sharing! Oi, adorei o blog, estou lendo e seguindo! I've had just about every single one of these pieces in my earbob box at one time or another....I've been buying mine at a few of the African/ Indian/Asian import shops along Hollywood Blvd for the past 35 years, cos that's what these styles are adapted from. All those "chandelier" and "butterfly" types Edie wore were either purchased from one of these places or were bought from a designer who channeled his inner "ethnic" to create his own version. A great style that Edie made popular and one that I still wear to this day. ah just found your blog and absolutely love it. we have similar loves of the icons of the past, decades gone and the pure escapism of it all!